Remove the ‘fear of failure’. 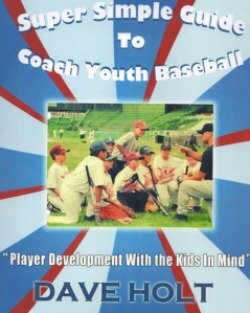 Do you think a ballplayer will reach their ability ceiling when they are afraid to make a mistake on the ballfield? Do you want players to play timid and scared? 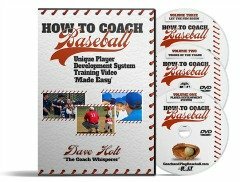 Do you want players to keep the bat on their shoulder because they are scared to get reprimanded for swinging at a bad pitch? The answers to all these questions would certainly be NO. Then why can’ t we as youth baseball coaches and parents work to remove the ‘fear of failure’ in our kids? Well, we can only if we know how to communicate to our players. We will have to scrutinize every word that comes out of our mouth (and body language). Sounds harmless and helpful, right? Wrong! A young batter takes this as, ‘I better be really careful here on this pitch because if I swing at the pitch and it is out of the zone I’m really going to get chewed out.” Do you think this player has any ‘fear of failure’ in their mind? You bet they do! What if we said instead, “Hey, get it ready and let it fly—give this one your best swing!” Now, what is the player’s ‘fear of failure’ level? Pretty low or non-existent in fact. The player has been released to freely swing the bat without any hint of criticism on the horizon regardless of what happens. This is how to play baseball. The win-at-all-cost crowd is much more likely to teach kids to play with a constant feeling of the ‘fear of failure’. player development baseball people teach kids to play baseball. The win-at-all-cost crowd is much more likely to teach kids to play with a constant feeling of the ‘fear of failure’. 2015 TIP: Remove any ‘fear of failure’ when players take the field. Obviously, baseball is a game with a pretty high level of failure anyway. If players have freedom to play without the fear of a tongue lashing after every mistake they will be much more likely to play to their best potential and increase their enjoyment level. 2015 Parent TIP: Avoid the post-game dissection and critique on the ride home. This does nothing but breed more anxiety and ‘fear of failure’ next time out. Tell the kids how much you enjoyed watching them play today (and you love them).